Can Christians Read the Qur’an? The Nicene Creed: What does it all mean? 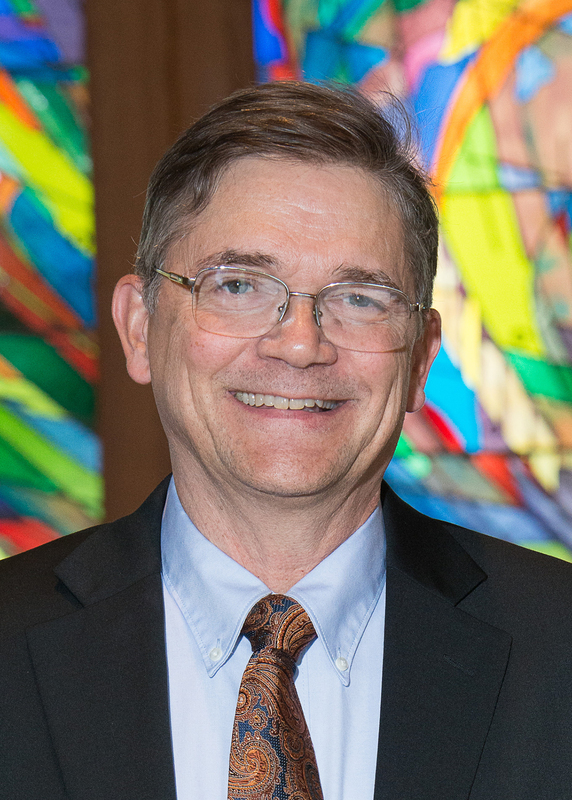 An ordained pastor of the Evangelical Lutheran Church in America, Mark Swanson came tot the Lutheran School of Theology at Chicago from Luther Seminary where he taught Islamic studies, Christian-Muslim relations, Arabic language and early church history. Before that he served for 14 years on the faculty of the Evangelical Theological Seminary in Cairo, Egypt. 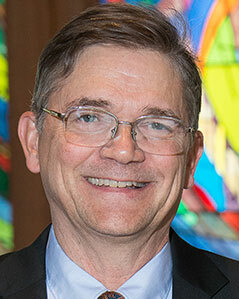 His research interests include the history of Christian-Muslim relations, medieval Egyptian church history, and early Arabic Christian literature. Member of the (four-member) Editorial Board of the monograph series, "The History of Christian-Muslim Relations" (Brill). Member of a team producing a three-volume set, The Popes of Egypt (Cairo and New York: American University in Cairo Press). I am presently at work on Volume Two, The Coptic Papacy in Islamic Egypt. Christian Arabic "Language Leader" for the multi-volume project, Christian-Muslim Relations: A Bibliographical History (Leiden: Brill, first volume to appear before the end of 2008). Member of the Editorial Board of the journal Coptica (Los Angeles). Christian-Muslim Relations: A Bibliographical History, Volume 4 (1200-1350), David Thomas et al. (eds. ), Leiden and Boston: Brill, 2012 Mark is the Christian Arabic section editor, and contributed 15 entries of his own to this volume. Christian-Muslim Relations: A Bibliographical History, Volume 5 ed. David Thomas et al. (Leiden and Boston: Brill, 2009-2013) Mark was Christian Arabic section editor for this reference work, and contributed 75 articles to it. Emmanouela Grypeou, Mark N. Swanson and David Thomas, eds., The Encounter of Eastern Christianity with Early Islam, The History of Christian-Muslim Relations 4 (Leiden and Boston: Brill, 2006). Folly to the Hunafa': The Cross of Christ in Arabic Christian-Muslim Controversy in the Eighth and Ninth Centuries A.D., extract from doctoral dissertation, Pontifical Institute for Arabic and Islamic Studies, Rome, 1992 (Cairo: 1995). “Freedom and Responsibility: Joint Theological Explorations by Christians and Muslims. Challenges Today,” in Freedom and Responsibility: Christian and Muslim Explorations, ed. Simone Sinn and Martin L. Sinaga, LWF Studies 01/2010 (Geneva: The Lutheran World Federation, 2010), 13-22. ­­­­“Sainthood Achieved: Coptic Patriarch Zacharias according to The History of the Patriarchs,” in Writing ‘True Stories’: Historians and Hagiographers in the late Antique and Medieval Near East, ed. Arietta Papaconstantinou et al. (Turnhout, Belgium: Brepols, 2010), 219-30. David Thomas and Barbara Roggema, eds., with Juan Pedro Monferrer Sala, Johannes Pahlitzsch, Herman Teule, and John Tolan, “Christian Muslim Relations: A Bibliographical History, Volume 1 (600-900)” (Leiden and Boston: Brill, 2009). This is a 957-page reference work, for which Mark served as Arabic Christian section editor (and contributed 20 entries of his own). “Arabic Accounts,” in Tim Vivian, ed., Witness to Holiness: Abba Daniel of Scetis, Cistercian Studies Series 219 (Kalamazoo, MI: Cistercian Publications, 2008), Chapter 8. "Arabic Accounts," in Tim Vivian, Witness to Holiness: Abba Daniel of Scetis (Kalamazoo: Cistercian Press, 2008). "Searching for Shenoute: A Copto-Arabic Homilary in Paris, B.N. arabe 4796," in Gawdat Gabra, ed., Christianity and Monasticism in Upper Egypt (Cairo and New York: The American University in Cairo Press, 2008). "Sainthood Achieved: Coptic Patriarch Zacharias according to The History of the Patriarchs," in a collection edited by Arietta Papacostantinou. "Arabic Hagiography," in a handbook on Byzantine hagiography edited by Stephanos Efthymiadis. (with Ingo Wulfhorst), "Afterword," in Lissi Rassmussen, ed., Bridges Instead of Walls: Christian-Muslim Interaction in Denmark, Indonesia and Nigeria (Minneapolis: Lutheran University Press, 2007). Beiruter Texte und Studien 117 (Beirut, 2007). "‘Interrogating Mission' with Indian Islam," in Max L. Stackhouse and Lalsangkima Pachuau, eds., News of Boundless Riches: Interrogating, Comparing, and Reconstructing Mission in a Global Era, 2 vols. (Delhi: ISPCK, 2007), I, 193-206. "Commending Hospitality and ‘Polishing the Theologian in Us': Reflections on Theological Education for Mission," in Max L. Stackhouse and Lalsangkima Pachuau, eds., News of Boundless Riches: Interrogating, Comparing, and Reconstructing Mission in a Global Era, 2 vols. (Delhi: ISPCK, 2007), II, 236-49. "‘Our Father Abba Mark': Marqus al-Antuni and the Construction of Sainthood in Fourteenth-Century Egypt," in Juan Pedro Monferrer Sala, ed., Christian Crossroads: Essays on the Medieval Christian Legacy (Piscataway, NJ: Gorgias Press, 2007), 217-28. "Beyond Prooftexting (2): Observations on the Use of the Bible in Some Early Arabic Christian Apologies," in David Thomas, ed., The Bible in Arab Christianity, The History of Christian-Muslim Relations 6 (Leiden and Boston: Brill, 2007), 91-112. "Recent Developments in Copto-Arabic Studies (2000-2004)," in Anne Boud'hors and Denyse Vaillancourt, eds., Huitième congrès international d'études coptes (Paris 2004): Bilans et perspectives 2000-2004, Cahiers de la Bibliothèque copte 15 (Paris: De Boccard, 2006), 225-40. "Folly to the Hunafa': The Crucifixion in Early Christian-Muslim Controversy," in Emmanouela Grypeou, Mark N. Swanson and David Thomas, eds., The Encounter of Eastern Christianity with Early Islam, The History of Christian-Muslim Relations 4 (Leiden and Boston: Brill, 2006), 237-56. "Recent Developments in Copto-Arabic Studies (1996-2000)," in M. Immerzeel, J. van der Vliet, M. Kersten and C. van Zoest, eds., Coptic Studies on the Threshold of a New Millenium: Proceedings of the Seventh International Congress of Coptic Studies, Leiden, August 27 - September 9, 2000, Orientalia Lovaniensia Analecta, 133 (Leuven: Peeters, 2004), 239-67. "Secular legislation and the status of religions - How can religious values of minorities be respected in a pluralist secular order?" in Fritz Erich Anhelm, ed., Säkulare Ordnung und religiöser Glaube, Loccumer Protokolle 73/02 (Rehburg-Loccum, Germany: Evangelischen Akademie Loccum, 2004), 45-49. "Solomon, Bishop of Mount Sinai (Late Tenth Century AD)," in Herman Teule and Rifaat Ebeid, eds., Studies into the Christian Arabic Heritage: In Honour of Father Prof. Dr. Samir Khalil Samir S.I. at the Occasion of his Sixty-Fifth Birthday, Eastern Christian Studies, 5 (Leuven: Peeters, 2004), 91-111. "The Christian al-Ma'mun Tradition," in David Thomas, ed., Christians at the Heart of Islamic Rule: Church Life and Scholarship in ‘Abbasid Iraq (Leiden: Brill, 2003), 63-92. "A Frivolous God?" in David Thomas and Clare Amos, eds., A Faithful Presence: Essays for Kenneth Cragg (London: Melisdende, 2003), 166-83. "The Martyrdom of ‘Abd al-Masih, Superior of Mount Sinai (Qays al-Ghassani)," in David Thomas, ed., Syrian Christians under Islam: The First Thousand Years (Leiden: Brill, 2001), 107-29. "Cultural Assimilation and Religious Differentiation (in Theological Texts of the Ancient Arabic Christian Heritage)" [in Arabic], in Approaches to the Arabic Christian Heritage (Cairo: Coptic Center for Social Services, Unit for Ecumenical Studies, 1996). "Ibn Taymiyya and the Kitab al-burhan: A Muslim Controversialist Responds to a Ninth-Century Arabic Christian Apology," in Yvonne Yazbeck Haddad and Wadi Zaidan Haddad, eds., Christian-Muslim Encounters (Gainesville: University Press of Florida, 1995), 95-107. "The Cross of Christ in the Earliest Arabic Melkite Apologies," in Samir Khalil Samir and Jørgen S. Nielsen, eds., Christian Arabic Apologetics during the Abbasid Period (750-1258) (Leiden: Brill, 1994), 115-45. “TEEM and the Future of Theological Education” Currents in Theology and Mission, Vol 38 No 3 (June, 2011) 170-171. He Often Rejected Sinners and Cast Them into Hell? : On the Image of St. Shenoute in Copto-Arabic Literature: The Relevance of a Sermon in MS Paris B.N. ar. 244 (Coptica 9 ) 67 - 81. "Telling (and Disputing) the Old, Old Story: A Soteriological Exchange in Late Twelfth-Century Egypt," Coptica 5 (2006): 69-82. "Common Wisdom: Luqman the Wise in a Collection of Coptic Orthodox Homilies," Currents in Theology and Mission 33 (2006): 246-52. "St. Shenoute in Seventeenth-Century Dress: Arabic Christian Preaching in Paris, B.N. ar. 4761," Coptica 4 (2005): 27-42. "On the Teaching of Islam at Luther Seminary," Teaching Theology and Religion 8 (2005): 172-75. "The Trinity in Christian-Muslim Conversation," Dialog 44 (2005): 256-63. "‘Our Brother, the Monk Eustathius': A Ninth-Century Syrian Orthodox Theologian Known to Medieval Arabophone Copts," Coptica 1 (2002):119-40. "‘Thinking through' Islam," Word & World 22 (2002):264-74. Translation of "Sermon on the Glorious Nativity" by Bulus [Paul] al-Bushi, in The Cresset (Christmas/Epiphany 2001-2002): 32-33. "‘These Three Words Will Suffice': The ‘Jesus Prayer' in Coptic Tradition," Parole de l'Orient (Kaslik, Lebanon) 25 (2000): 695-714. "Two Vatican Manuscripts of ‘The Book of the Master and the Disciple' (Eight Chapters) of Mark ibn al-Qunbar," Orientalia Christiana Periodica (Rome) 66 (2000): 185-93. "Three Sinai Manuscripts of Books ‘of the Master and the Disciple' and their membra disiecta in Birmingham," Orientalia Christiana Periodica 65 (1999): 347-61. "Beyond Prooftexting: Approaches to the Qur'an in Some Early Arabic Christian Apologies," The Muslim World 88 (1998): 297-319. "A Copto-Arabic Catechism of the Later Fatimid Period: ‘Ten Questions which One of the Disciples Asked of His Master'," Parole de l'Orient 22 (1997): 473‑501. "The Specifically Egyptian Context of a Coptic Arabic Text: Chapter Nine of the Kitab al‑Idah of Sawirus ibn al-Muqaffa‘," Medieval Encounters 2 (1996): 214-27. "Are Hypostases Attributes? An Investigation into the Modern Egyptian Christian Appropriation of the Medieval Arabic Apologetic Heritage," Parole de l'Orient 16 (1990-91): 239-50. "A Study of Twentieth-Century Commentary on Surat al-Nur (24):27-33," The Muslim World 74 (1984): 187-203. 45 short articles in Gawdat Gabra, ed., Encyclopedia of the Coptic Church (Lanham, Maryland: Scarecrow Press, 2007). "Saints and Sainthood: Christian," in Josef W. Meri, ed., Medieval Islamic Civilization: An Encyclopedia, Routledge Encyclopedias of the Middle Ages 13 (London and New York: Routledge, 2005), 688-89. "Proof," in The Encyclopedia of the Qur'an , vol. 4, ed. Jane Dammen McAuliffe (Leiden: Brill, 2004), 286-87.
Review of Yahya ibn ‘Adi, The Reformation of Morals: A parallel Arabic-English edition, translated and introduced by Sidney H. Griffith, Eastern Christian Texts 1 (Provo, Utah: Brigham Young University Press, 2002), Journal of Early Christian Studies 13 (2005): 270-71.
Review of Robert G. Hoyland, Seeing Islam as Others Saw It: A Survey and Evaluation of Christian, Jewish and Zoroastrian Writings on Early Islam, in Islam and Christian-Muslim Relations 11 (2000): 387-89.
Review of Roland E. Miller and Hance A.O. Mwakabana, eds., Christian-Muslim Dialogue: Theological and Practical Issues, in Islam and Christian-Muslim Relations 10 (1999): 385-87.
Review of Bob McCahill, Dialogue of Life: A Christian among Allah's Poor, in Islamochristiana 24 (1998): 250-52.
Review of Lucy-Anne Hunt, The Mingana and Related Collections: A Survey of Illustrated Arabic, Greek, Eastern Christian, Persian and Turkish Manuscripts in the Selly Oak Colleges, Birmingham, in Islamochristiana 24 (1998): 288.
Review of Robert W. Wilken, The Land Called Holy: Palestine in Christian History and Thought, in Pro Ecclesia 3 (1994): 497-99.
Review of Carl E. Braaten, No Other Gospel! Christianity Among the World's Religions, in Pro Ecclesia 2 (1993): 117-20.
Review of Thomas F. Michel, A Muslim Theologian's Response to Christianity: lbn Taymiyya's al‑Jawab al-Sahih, in The Muslim World 78 (1988): 84-85.
Review of W. Montgomery Watt, Islam and Christianity Today: A Contribution to Dialogue, in The Muslim World 77 (1987): 259-60.